Arizona Department of Transportation says troopers managed to get multiple dogs off the freeway on Monday morning. 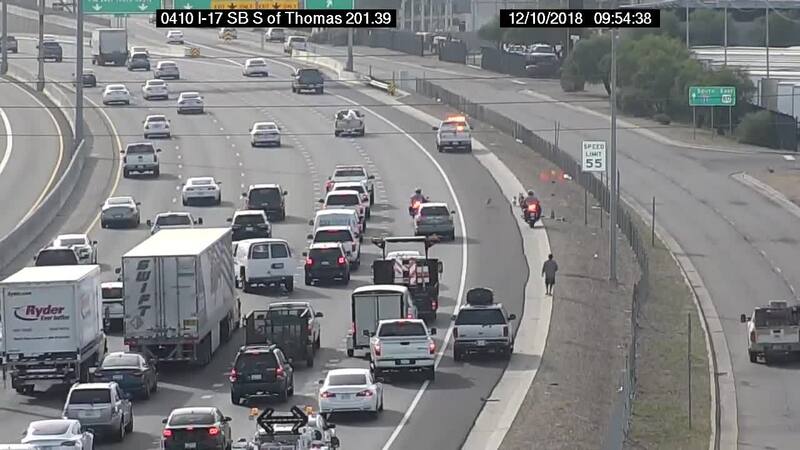 A group of lucky dogs dodged cars and stopped traffic as they made their way across the lanes of Interstate 17 in Phoenix Monday morning. 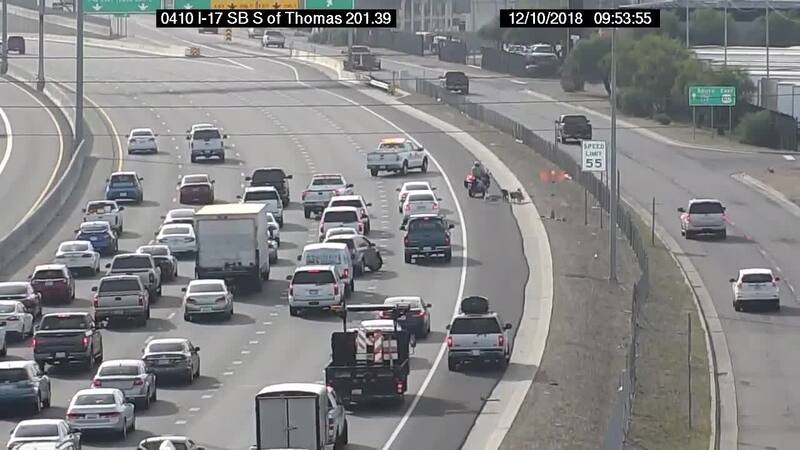 Video from Arizona Department of Transportation cameras showed the pack of six small dogs around 9:55 a.m. local time wandering from the shoulder near Thomas Road across several lanes as cars and trucks slowed to a stop. Department of Public Safety motorcycle troopers could be seen approaching the dogs from behind and ushering them off the freeway at McDowell Road. Luckily, DPS said all six of the pups were taken off the roadway safely. Watch video from ADOT in the player above.